Welcome to Pick Me Car Keys Adelaide help page for Toyota Car Key Replacement. 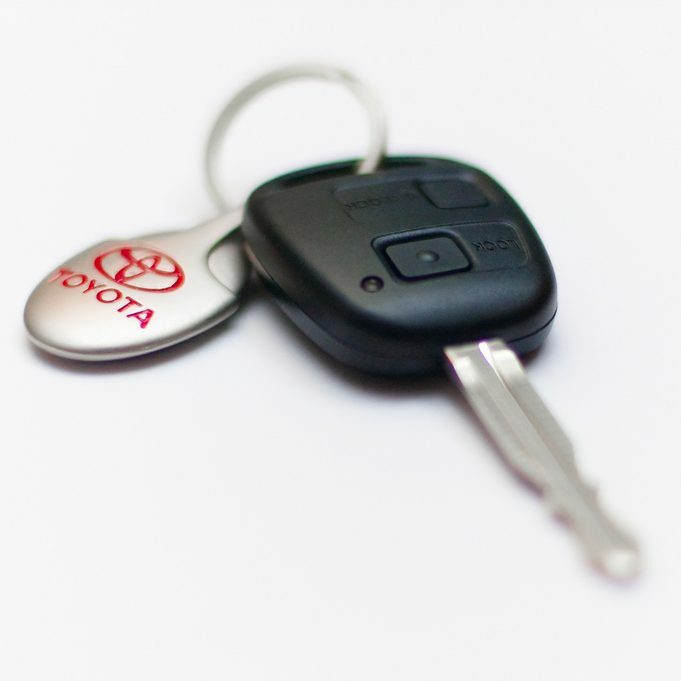 We have put together some information to try and help you if you have lost your Toyota keys or if you require a spare key cut for your Toyota. We can provide replacement keys for Toyota Corolla, Camry, Echo, Yaris, Landcruiser, Rav4, Hilux, Hiace and most Toyota models. Pick Me Car Locksmith Adelaide are fully mobile and equipped to cut and program car keys and remotes on site saving you time and money. Most Toyotas from 1997 have a factory immobiliser system built into them which uses a “transponder” chip to control the vehicles security. Models such as Camry, Corolla, LandCruiser and Rav4 have this system whether they have a remote or not, the chip lives inside the key head. For Toyota models made before 2005 if all keys have been lost or stolen the immobiliser box has to be removed from the vehicle and reset. This can be quite costly. Spare keys can be cut and programmed from a working key at a fraction of the cost so it is recommended that a spare is kept at all times. After 2005 most models can be programmed using specialised equipment through the OBD 2 port and after market keys can be used. However if you require a full remote key these keys can be quite expensive depending on the model. Pick Me Car Locksmith Adelaide have invested time and money to provide a fast and cost effective solution for Toyota car keys and remotes. Our fully equipped mobile workshop can come to your car and cut and program keys and remotes on site. CLICK HERE TO GET A TOYOTA CAR KEY REPLACEMENT QUOTE NOW ! 1 – Do you have a key code for your car? 2 – Do you have the pin code for your car? 3 – Do you have the VIN for your car? 4 – Do you have the month and year your car was built? WHERE CAN YOU FIND THIS VALUABLE INFORMATION ? 2 – Your VIN can be found on your registration papers or on the cars compliance sticker. Some stickers are on the door panel and some are under the bonnet. The build date is also on the compliance sticker. We can be on site within 60 minutes of taking your booking and can take credit card payments over the phone for your convenience. Our mobile locksmiths workshops are fully equipped and stocked with the latest key cutting equipment and popular lock and key supplies to get the job done quickly and with no fuss. With over 30 years experience in the Locksmith industry Pick Me Locksmiths Adelaide are the Locksmiths you can trust. Want To Stay Up To Date With Special Offers ? Why not join our exclusive mailing list today !